Eco Comics is getting into the Halloween spirit by uniting a myriad of various creatures better known for going bump in the night. The Horrables is a horror team that will be led by author Bram Stoker, who joins forces with Lord Lucan, Dracula, Hyde, Jack the Ripper, and zombie T-Bone Stake. Writer Chris Bunting says: "We doubt the comic book world has seen anything quite like this before - and unveiling this horror-fest on Halloween feels like perfect timing! We have been building up to this since our first print graphic novel - Mr. T - in 2008, and everything since in our paperless range of titles, such as Dracula vs. Robin Hood vs. Jekyll and Hyde. This is the accumulation of those stories." 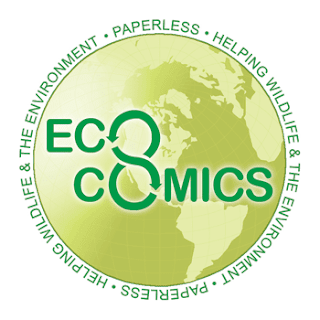 The Horrables - as with all titles by Eco Comics - will be paperless-exclusive and released on different digital platforms, as the publisher spearheads its pioneering, multi-award-winning green approach. The publisher has released the first cover of the new title, teasing an all-new incarnation of Dracula - complete with a masked superhero costume - and a creepy take on Jack the Ripper, a diminutive man atop a crude Victorian-era killing machine. Hyde - already an established regular at Eco Comics - is a giant ball of power in a bowler hat, while T-Bone Stake is a gruesome play on the publisher's first and flagship character, whose weapon of choice is a giant wooden stake. A unique new comic book horror team made up of real and fictional characters - The Horrables - is being unveiled this Halloween by Eco Comics. The horror team will be led by author Bram Stoker, who joins forces with Lord Lucan, Dracula, Hyde, Jack the Ripper, and zombie T-Bone Stake. Writer Chris Bunting says: "We doubt the comic book world has seen anything quite like this before - and unveiling this horror-fest on Halloween feels like perfect timing! "We have been building up to this since our first print graphic novel - Mr. T - in 2008, and everything since in our paperless range of titles, such as Dracula vs. Robin Hood vs. Jekyll and Hyde. This is the accumulation of those stories." The Horrables - as with all titles by Eco Comics - will be paperless-exclusive and released on different digital platforms, as the publisher spearheads its pioneering, multi-award-winning green approach. The publisher has released the first cover of the new title, teasing an all-new incarnation of Dracula - complete with a masked superhero costume - and a creepy take on Jack the Ripper, a diminutive man atop a crude Victorian-era killing machine. Hyde - already an established regular at Eco Comics - is a giant ball of power in a bowler hat, while T-Bone Stake is a gruesome play on the publisher's first and flagship character, whose weapon of choice is a giant wooden stake. Also from the real world come the infamous Lord Lucan and creator of Dracula, author Bram Stoker. The Horrables preview art is available on blog.mohawkmedia.co.uk. The launch date and more details about the new comic book will be announced soon.